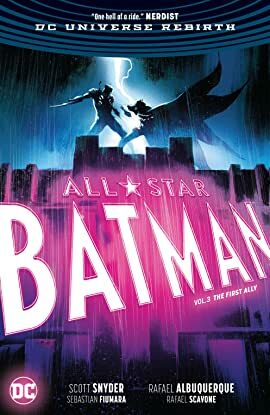 New York Times #1 best-selling writer Scott Snyder and artist Rafael Albuquerque, the Eisner Award-winning creative team of American Vampire, reunite for All Star Batman Vol. 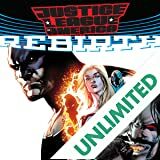 3: The First Ally--a pulse-pounding thriller striking directly at the heart of the Bat-mythos! 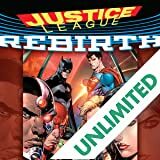 Since he became Gotham City's guardian, the Batman has faced an army of the deadliest villains the world has ever known. His path has been dangerous, his losses incalculable. But with the help of his right-hand man, Alfred Pennyworth, he's emerged victorious every time. But now the Dark Knight is facing a new enemy--the masked face of a conspiracy that spans generations. His name is Nemesis, and both Batman and the mysterious figure called ""the First Ally"" are on his hit list. 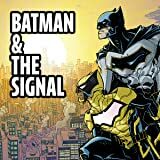 As old foes from the Penguin to Black Mask join the fray, Batman's quest to uncover the truth will take him from Gotham to Miami to the U.K.--and deep into his own past. 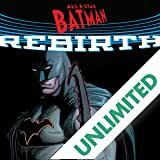 Collects ALL STAR BATMAN #10-14. 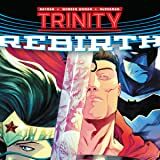 Spinning out of the events of DC UNIVERSE: REBIRTH #1, a new day dawns for Earth's greatest heroes as they welcome three new members to the team, including...Superman? Who is this strange visitor from a dead world—and can he be trusted? Batman and Wonder Woman aren't so sure.